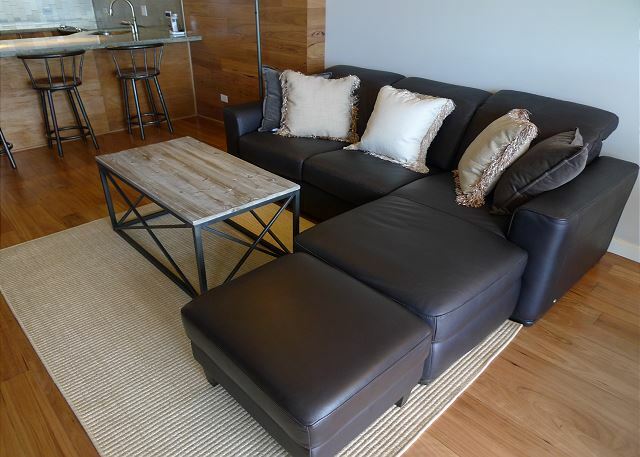 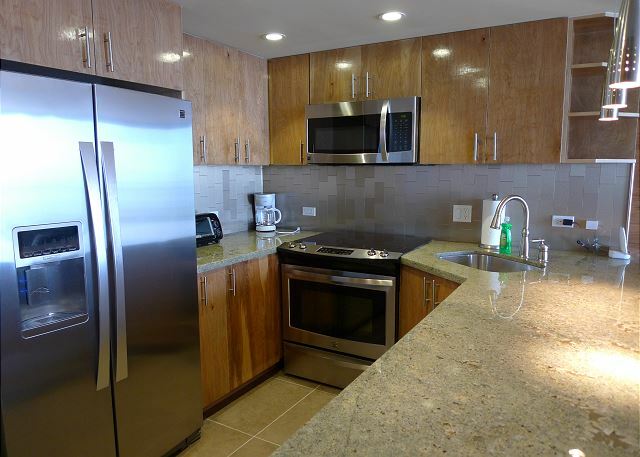 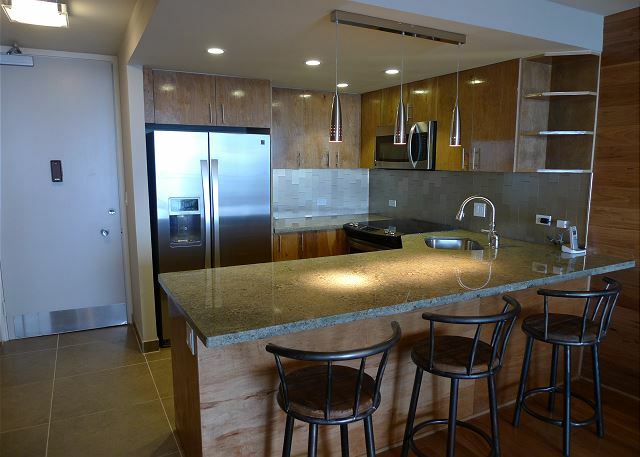 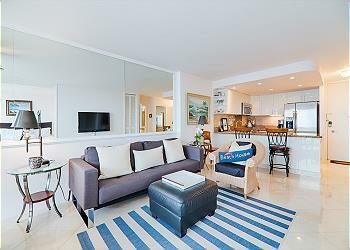 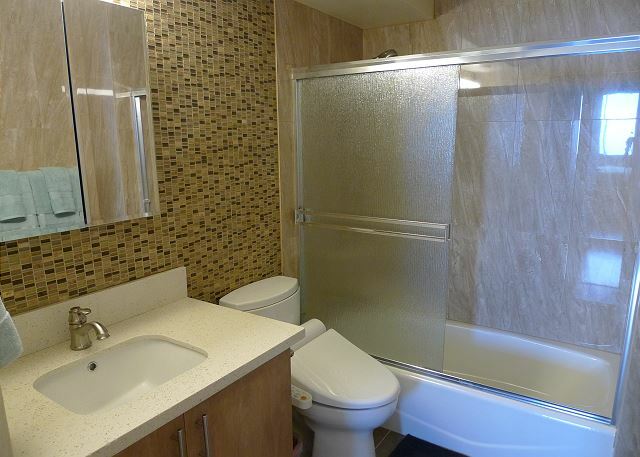 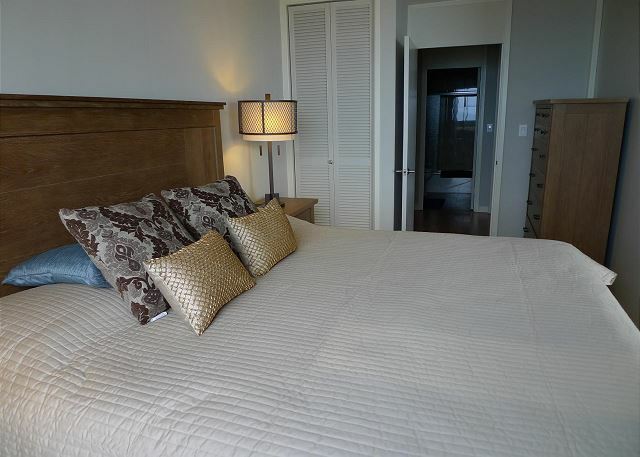 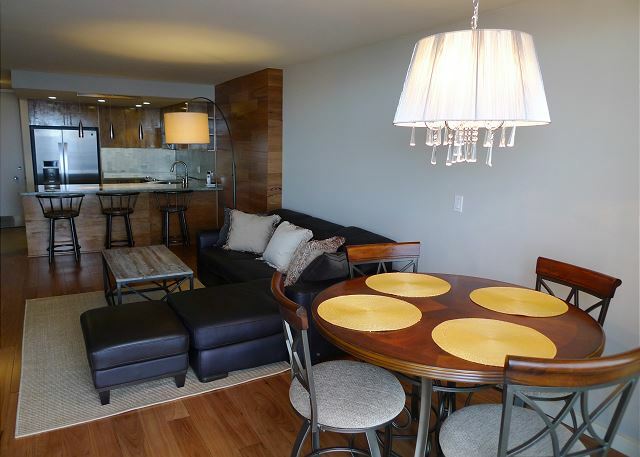 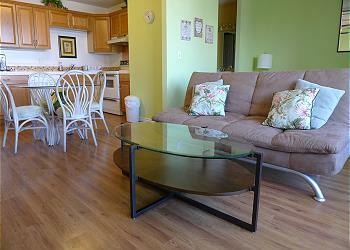 This beautiful, recently remodeled Ilikai marina unit is decorated with wooden color. 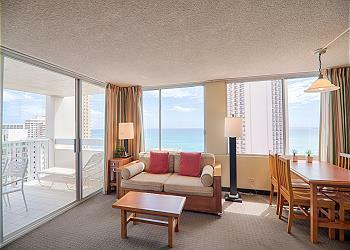 you feel at home while on vacation in paradise. 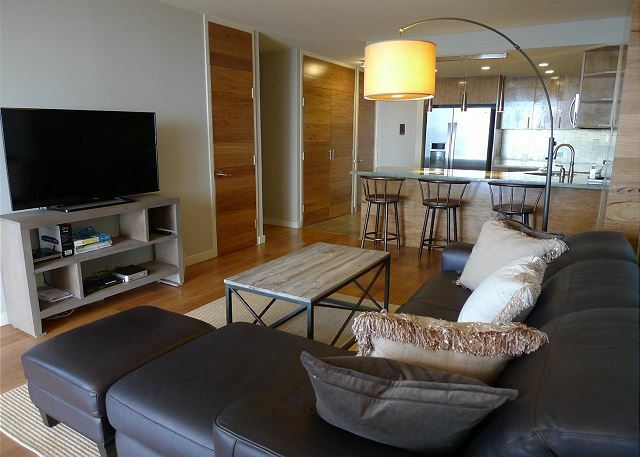 Living area with wooden floors bring you a warmth and elegant atmosphere. 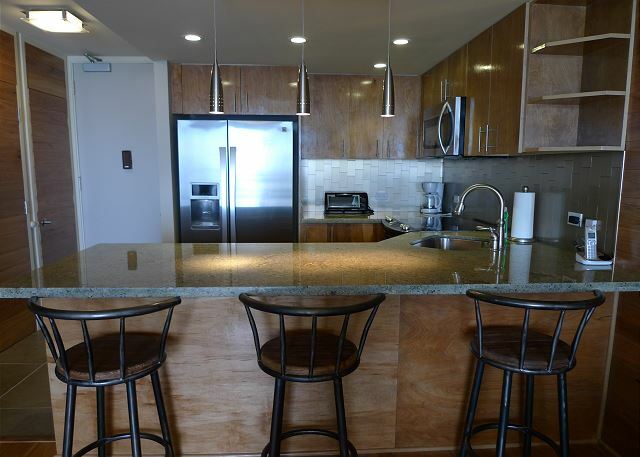 Full size kitchen with cookware, stainless steel appliances, beautiful back-splash, granite counter-tops, modern bathroom, and more. 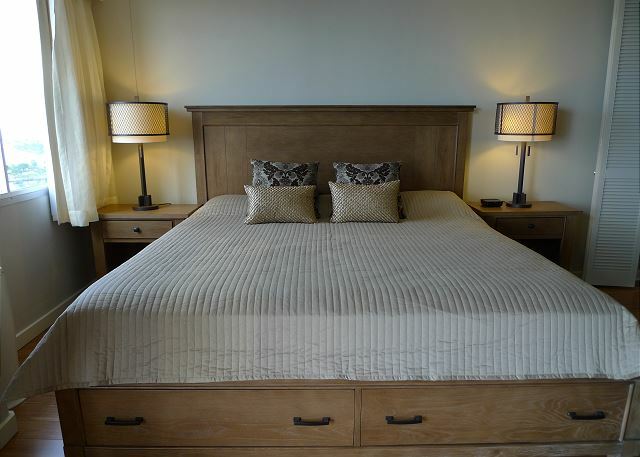 Furnished with modern interiors with comfortable sofa (sofa bed), a king sized bed, elegant dining table with four seats, flat screen TV. 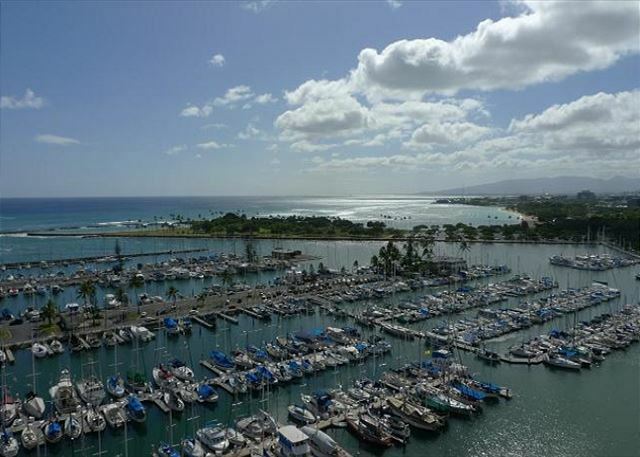 A set of sliding glass doors open to lanai which gives you an unobstructed view of the yacht harbor and a breath taking 180 degree view of Pacific Ocean. 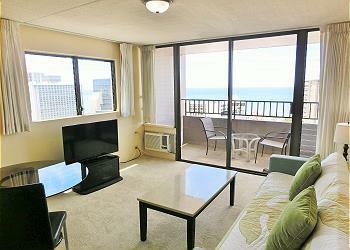 Enjoy a fireworks display from the lanai every Friday night. 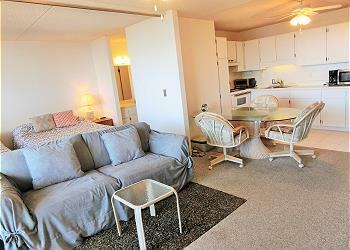 Beach is only few minutes away from door steps and many restaurants and shops in the area. 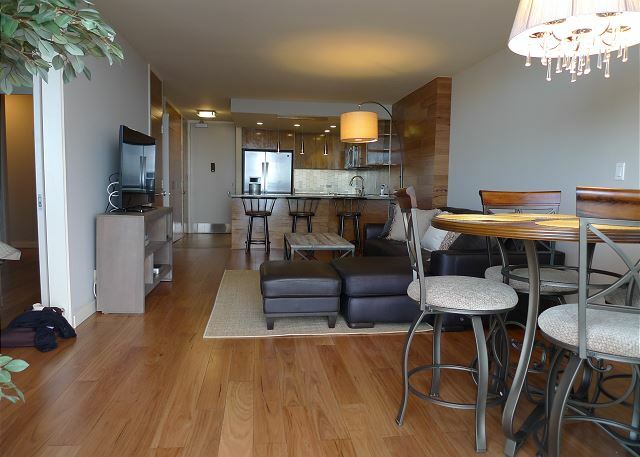 Please note there is not a swimming pool in this condo. 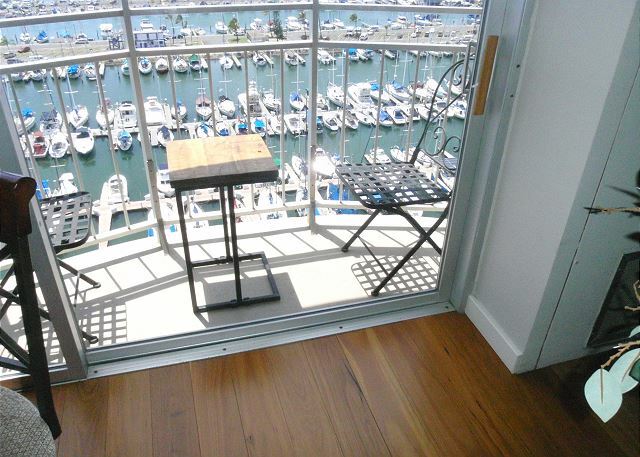 Many people find that since the condo is so close to the beach this is not a problem. 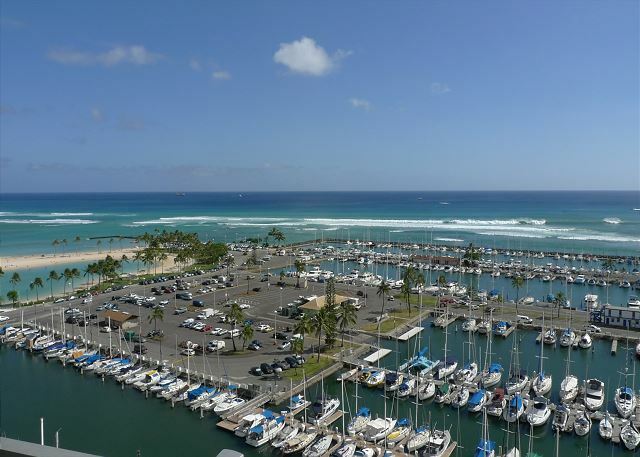 There is a public parking garage next to to our building, and parking is currently $23 per day.